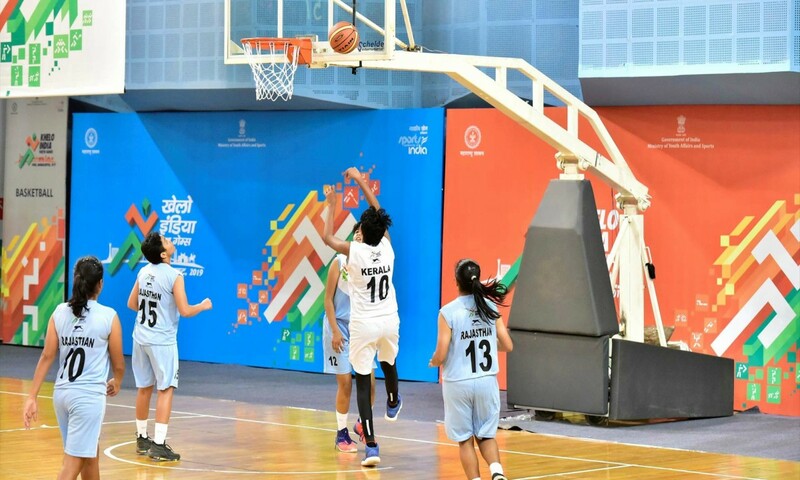 Pune, 16th Jan-Defending champions Punjab boys and Kerala girls registered wins in the Under-17 section to continue from where they left off last year in the basketball events at the Khelo India Youth Games 2019. In a Pool A encounter, Punjab cruised to a 30-point win over Tamil Nadu winning 92-62 with skipper Rajan (27 points), Navkiran Singh (16 points) and Manpreet Singh (16 points) standing out. Tamil Nadu skipper Alvin Basil (15 points) was the top scorer for the southern state. Kerala girls toiled hard to earn a win over Rajasthan(57-54) in Pool A . Ann Mary (17 points) and Ameesha (16) lead from the front for Kerala, while Rashi (17 points) and Ankita (16 points) excelled for Rajasthan. Hosts Maharashtra had mixed luck. They lost in Under-17 boys section to Haryana by 55-81, and the girls lost to Tamil Nadu 63-71.However, in the Under-21 section Maharashtra boys downed Uttar Pradesh 74-67, while their girls had an easy outing against Gujarat (83-41).